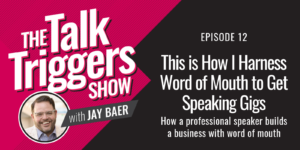 I’m very excited to announce the official launch of The Talk Triggers Show. 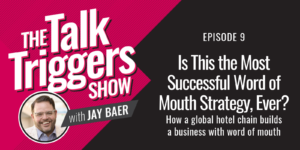 The Talk Triggers Show explores the true power of word of mouth marketing, which influences up to 90% of ALL purchases. You can build an empire without lifting a finger. 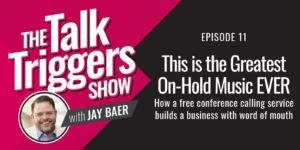 The trick is to develop something more than a unique selling point, I call this a talk trigger…something that gets people talking about you and your business. A huge mistake that a lot of businesses make is trying too hard to fit in. The truth is that the more you try to fit in, the more your customers tune out. 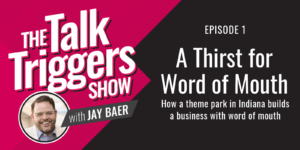 On the first episode of The Talk Triggers Show, I share a thought-provoking story about a family business that completely upended the theme park business model using one very simple, but extraordinary talk trigger. 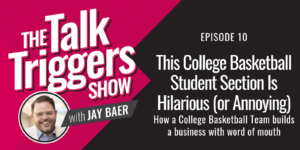 I hope you enjoyed this first episode of the The Talk Triggers Show. 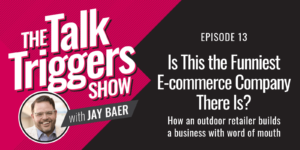 Never miss an episode by subscribing on YouTube and to the podcast on your favorite podcast app!